Donna and I love Joe T’s. 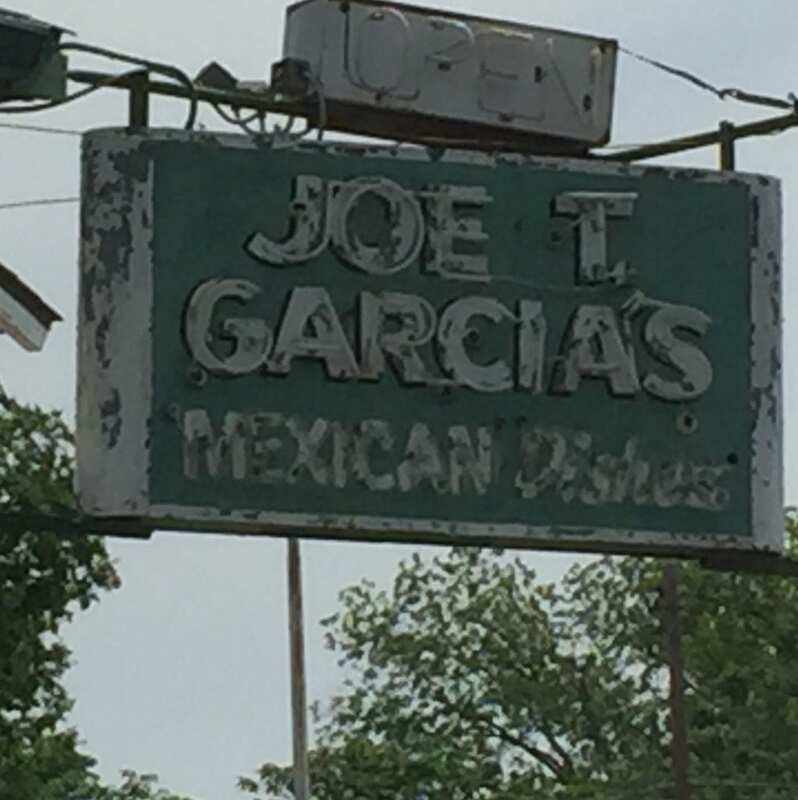 There are HUNDREDS of Mexican food restaurants in North Texas and we have lot’s of favorites, but if we had to choose “our last meal” it would be at Joe T Garcia’s Mexican Dishes. Let me just get this out of the way… When you are wildly successful and highly acclaimed in any business you garner lots of detractors. In Texas any discussion of Mexican food, Barbecue, or sports can end up in a fight because everyone has a favorite and if you disagree you could be asked to step outside. 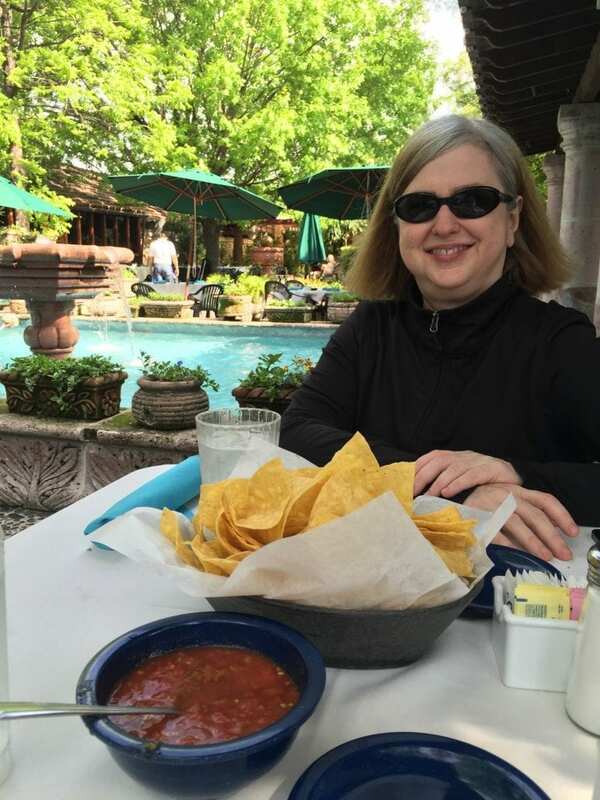 If I’m going to eat outside in Fort Worth there are few places that I would prefer to do it and Joe T’s is at the top of my list. With a full staff of gardeners who arrive each morning at 5:00 am, the patio is always impeccable and the people watching there is some of the best to be had in Fort Worth Texas. 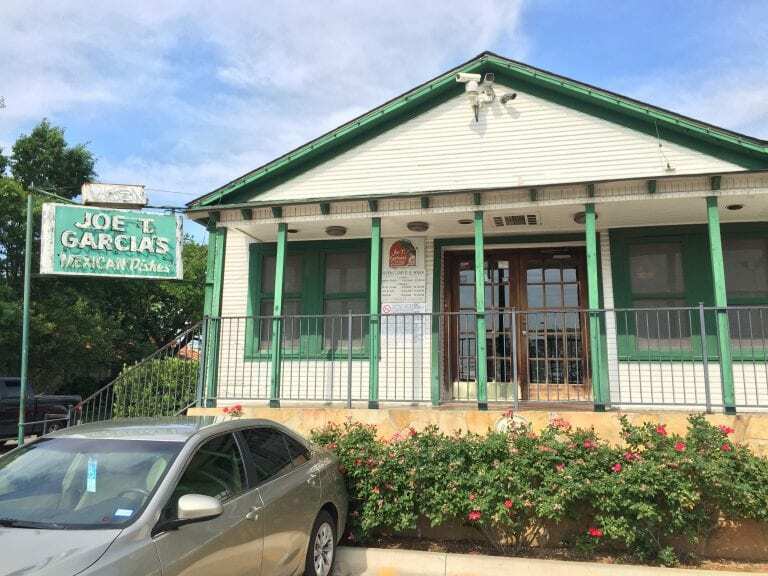 The food is not typical “Tex-Mex” that you find in many other Fort Worth restaurants, but the recipes are distinctive and flavorful and the restaurant elevated Mexican Cuisine to a new height when they received the James Beard Foundation Award for Excellence. 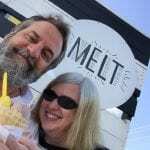 I’ve heard haters call the restaurant a “tourist trap” but it is unequivocally the furthest thing from it. It’s certainly a popular tourist spot based solely upon it’s reputation among the locals. We never dine there that we don’t see 10 people we know, and if there is a celebrity in town you will likely see them there. All of the food is delicious, but the Family Style Dinner is the thing I crave. The meal includes 2 cheese nachos, 2 cheese enchiladas, rice, beans, 2 beef tacos (the best in Fort Worth IMO) and guacamole. I either get this or opt for the “small version” which is still a huge plate of food. Donna eats like a bird so she usually just orders the cheese nachos. If I’m feeling up to heavy drinking their Margaritas are just outstanding but you have to set an absolute maximum of 2, you will thank me for this advice. If I want to get anything else done that day I order an ice cold Tecate with lime. 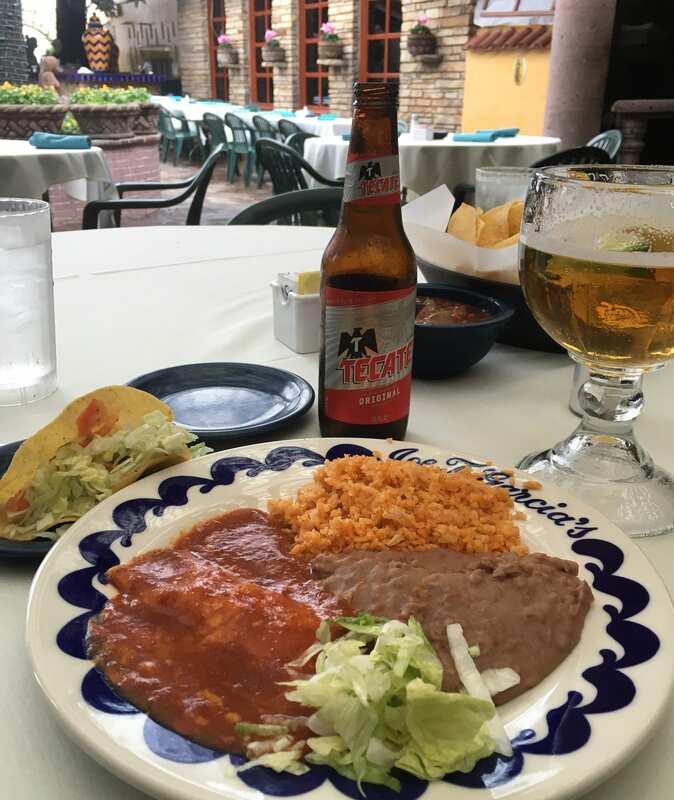 My personal preference for Fort Worth’s “best” fajitas and guacamole takes me to some other local restaurants, but as I said before everything at Joe T’s is outstanding. Joe T’s opened for business in 1935 but I, having not been born until 1961 did not first darken the door until 1967.. so it’s hard for me to imagine that I have been eating here for over 50 years. Damn I am old. When I was at TCU we would visit Joe T’s before any of the beautiful gardens and patios were built. 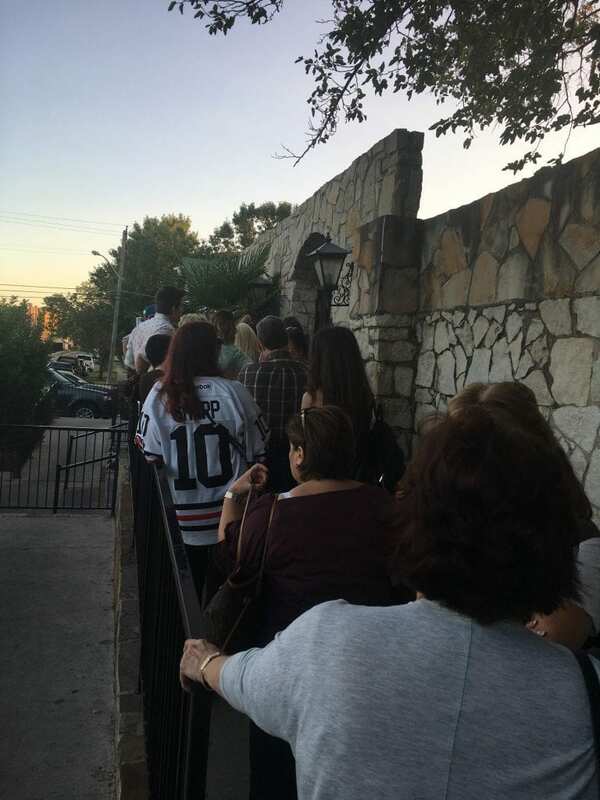 Fort worth residents take great pride in recalling their visits to Joe T’s back then, when you entered the small dining room through the kitchen. Back then, if I recall correctly, they only served one dish – the Family Style Dinner. I don’t remember there being a cash register, just a family member standing at the door asking you how many beers you had and telling you the total. Joe T’s has always been “cash only” and back then the money went straight into her apron pocket. Here’s what impresses me the most about Joe T Garcia’s – the family. 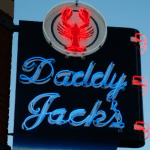 Beloved and successful as they are in Fort Worth they have managed to continue their legacy as Fort Worth’s #1 restaurateurs for over 80 years, changing with the times, adding real estate, gardens, menu items and more. Throughout the years though I cannot recall visiting the restaurant one single time that I did not see one or more of the Lancarte family actively tending to the business. I am sure that keeping a family so focused throughout multiple generations on keeping the family food dynasty polished and fresh year after year is a task that no one should underestimate.